Your Ordering cart is empty! 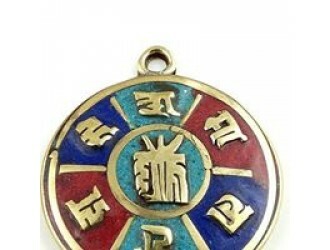 Middle-Kaalchakara, round auspicious Mantra set on multi color stone set as flower pattern. 2.5 inch.. Angry god Bajrapani with richly carved and coral stone decorated back ground.. 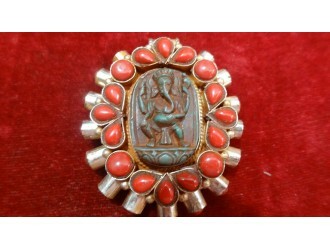 Handmade jewellery beads, made of brass with multi-color stone beads setting.Shape, size and designs..
Made of conch shell, round shape. 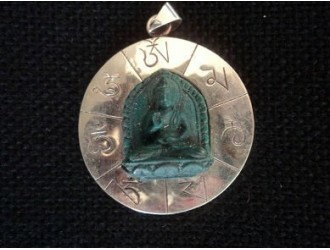 front part incarved of Buddha eye and back part Tibetan Om..
Made of Silver with gold plated all over. 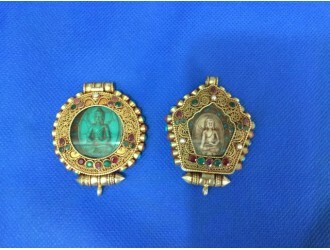 Inside Buddha setting and glass cover so that Bouddha can ..
Buddha Head with net carved metal back ground pendant. 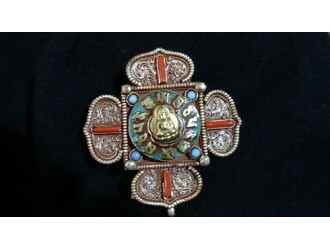 1 x 2 inches size..
Metal Buddha cover by leather all round and long leather stripes to hang pendant on shoulder..
Buddha Set in Middle, lotus petal back ground with richly carved..
Metal Ganesh cover by leather all round. 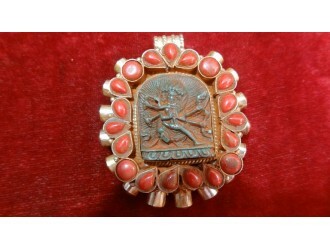 Long leather stripes hanging on pendant to hang onshoulder..
Multi-color resign Green Tara with net carving square frame back ground..
Ganesh made of green resin with heavily decorated back ground with coral setting round shape..
Metal Hindu Om set on middle, heavily carved of stone and Mantra all round..
Lotus design with multi-color stones and auspicious signs and Mantras setting as designs..
Lotus Flower shape, precious stone setting all over, gold plated box pendant..